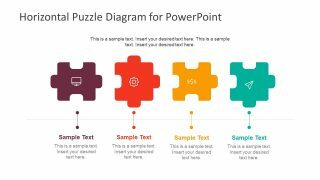 The Horizontal Puzzle Diagram for PowerPoint is an editable template of four step process illustration. The elements of template are easily adaptable to demonstrate various concepts. For example, present interdependent activities, categories and process flow diagrams. 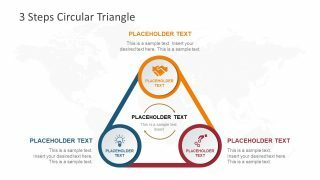 Therefore, the horizontal puzzle diagram is a generic PowerPoint to make the presentation simpler. However, the attractive design of vector template has infographics and use of bright colors provide a modern look. The first slide has four puzzle shapes in horizontal line with the connecting node lines below. These connectors align the puzzle diagram with respective text placeholders available underneath the template. 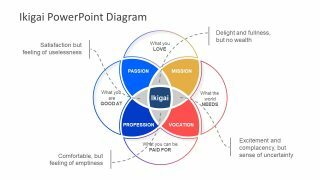 The PowerPoint is ideal for presenting the modules, milestones, business strategies and models. Hence, this is a cool and stylish PowerPoint for visualization of process flow data in various presentations. 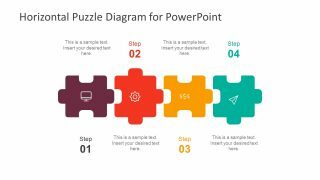 The Horizontal Puzzle Diagram for PowerPoint is an isometric infographic template containing useful clip arts and icons. These include, the desktop screen, gear, dollar currency symbols and paper-plane shape for sending message. Here, the users can make quick changes like changing the colors of puzzle pieces. 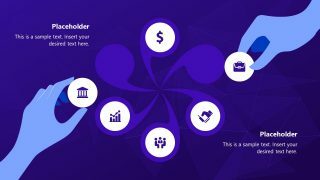 Further, move the PowerPoint shapes and modify infographic icons. Similarly, insert textual content to the given text placeholders. All these customizing features are available in PowerPoint to quickly modify a readymade slide for main presentation. 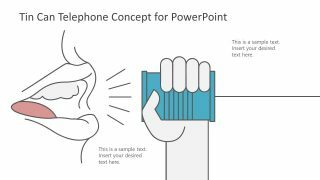 This is a flat design vector PowerPoint of two slides with different versions of diagram. The users can easily optimize the size of PowerPoint shapes or add more effects in drawing tools. Such as, 3D rotation, soft edge, glow, reflection and shadow. 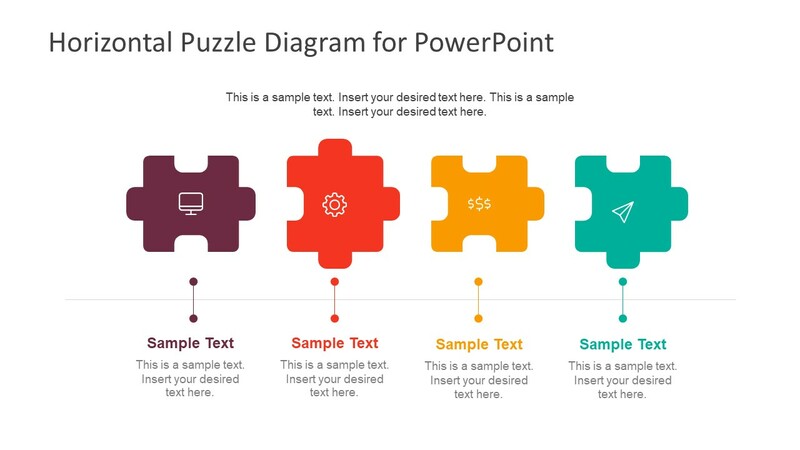 The PowerPoint of puzzle diagram is a horizontal process flow of 4 steps in an amazing vector design. The second slide of PowerPoint has a distinct layout for text placeholders in the template. It shows zigzag view of steps and text boxes around the four puzzle pieces in horizontal diagram.